A selection of 35 books, covering EYFS to Y6, selected to support primary schools to develop a curriculum response to the Equality Act 2010. 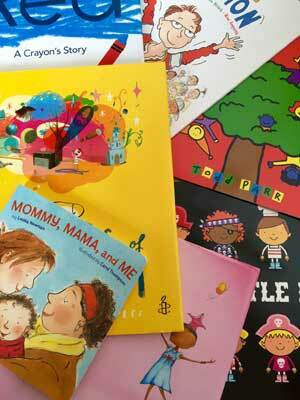 The titles in this book pack encourage children to explore identities and focus on diversity as a whole. These books would make a welcome addition to any classroom bookshelf or library. The book selection is used in the No Outsiders scheme for schools, which teaches children to recognise and celebrate difference. The resource, "No Outsiders In Our School: Teaching the Equality Act in primary schools" by Andrew Moffat (Speechmark: 2015), provides lesson plans for each picture book. You can buy this resource separately from Routledge here.